The history of cast iron radiators can be traced right back to the early 18th century with America leading the way with their invention. Perhaps the earliest form of radiators as we know them today was invented by Joseph Nason and Robert Brigss (1863) – their design used vertical wrought iron tubes screwed into a cast iron base. Soon after this, Nelson H Bundy (1872) invented the ‘Bundy Loop’, a cast iron radiator which became increasingly popular and played an important role in the advancement in the birth of our modern day radiators. The design of the radiator history passed through many stages, with continuous development, especially during the Victorian period when cast iron became a decorative feature within the home. However, it wasn’t really until the early 20th century that radiators brought central heating to Britain; in fact, very few homes had the luxury of central heating until well into the 1950s. 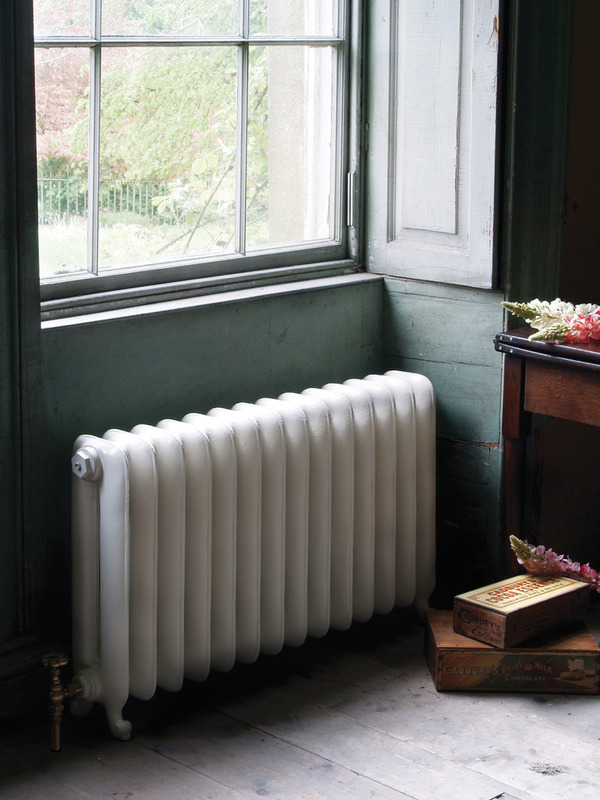 There are a number of modern replica Victorian radiators available which can be used in conjunction with other radiators and forms of heating. To recreate the elegance of the Victorian & Edwardian interiors, a ‘Nouveau’ look can be created by installing an iron radiator with a scrolled elaborate detailed design. A more Victorian look can also be achieved with column cast iron radiators replicated from the 19th century. The Victorian style radiators also lend themselves perfectly to a more contemporary interior, especially with modern day conversions of warehouses, barns and attics. Cast iron radiator history can date as far back as the early 1830’s. The ingenious sectional design of these radiators gave the manufacturers of the time an immensely flexible product, whereby simply attaching individual sections of the cast iron radiator together one by one, it was possible to assemble radiators in various sizes and heat outputs. Another major advantage to this design was the ability to be able to assemble radiators to fit into awkward spaces such as windows, bays and alcoves. The overall design of these radiators meant that in most cases, it would be possible to supply radiators that would produce an ample supply of heat in any given situation, and at the same time be aesthetically pleasing in terms of proportions. Another major benefit in producing cast iron radiators in a sectional format was to eliminate the problems involved in having to man-handle and transport the larger radiators that, in some cases, could weigh in excess of half a ton. Instead, these larger radiators were delivered to the jobsite in a dismantled state, where they would be assembled by a heating engineer a few feet away from their point of operation, slid into position and plumbed in. Carron radiators have given us the beauty and function of the old radiators, whilst taking away the old problems. When the old radiators were put together, often up to 100 years ago, they were assembled with rope seals, and when moved they will start to weep. The new radiators are assembled with modern rubber covered metal gaskets, as well as having a uniform iron wall thickness, guaranteed for 10 years. Carron have also taken the next step by having their radiators British Standard Tested. Before the new radiators became available, we would firstly salvage an old radiator from Churches, Hospitals or Schools, removing all of the old paint and finally repainting and re-testing it. However, this caused a few problems – we would find faulty gaskets or even pin holes in the cast iron, yet this was too late as the radiator by now was fitted in a newly decorated house. Our solution? Replica models from Carron, which we now stock. 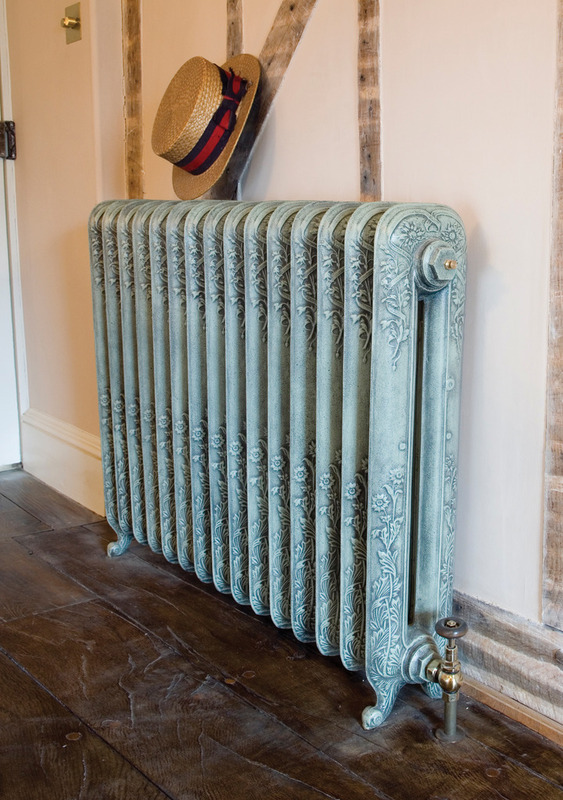 They are exact copies of salvaged radiators, perfect for an antique vintage look for any home. UKAA are proud to be able to offer you this exclusive range of high quality types of radiators. Carron radiators are now an essential centrepiece that serves a functional purpose as well as being a stylish accessory to complement any interior. The types of radiators that we can offer you includes: Verona, Daisy, Victorian, Rococco, Chelsea, Princess, Ribbon, Eton, Liberty, Deco, John King, Tuscany, Thistle, Ornate, Sleeping Swan, Scroll, Ornate, Turin, Churchill, Orleans and the Duchess. This excellent range of iron radiators can be made to your bespoke lengths and finished in a choice of either, Grey Oxide Primer, Hand Burnished Polish, Satin Polished, Highlighted Polish, Antiqued Finish, vintage Copper or Spray Painted in a colour of your choice. We can paint our Carron radiators in a colour of your choice and paint manufacturer, for example, Farrow & Ball and Little Green. We can also paint the radiators in any of our standard colours for you. Our range of standard colours is: Vellum, Buttermilk, Parchment white, French Grey, Satin Black, Graphite Grey, Foundry Grey, Hammered Gold, Ancient Breeze, Willow Green, and Hammered Bronze. To complement this range of radiators, we can offer a choice of either thermostatic or manually operated radiator valves, both of which are available in various finishes. We also have a large choice of front and rear mounted radiator wall stays available. Now you’ve learnt the history, shop for yourself – browse our range of radiators today.